Where to find and buy Corbis Motion Video Footage? Home » Stock Footage Video Buyers Guide » Where to Find and Buy Great Corbis Motion Video Footage? If you knew them or heard of them, you migh know that Corbis Motion was a great source for stock footage. Bill Gates' stock imagery company had hundreds of thousands of high quality stock videos. But now it's gone. What happened to Corbis footage? Where did it go? We have the answers. You can find and buy clips from Corbis Video collection. Where? Well… just at a little company called Getty Images. And we have a bonus: you can buy these clips cheaper and easier thanks to our special deal with Ultrapacks that let you save up to 30%! Corbis was a stock imagery agency that operated for many years. It was Bill Gates' incursion in stock media industry. In the time it was live, the company amassed a huge library of stock photography and stock footage available under both Rights Managed and Royalty Free licenses. While they had creative and current content too, they were known for their high-profile archive content –built through acquisitions of very sought-after historic photography collections and licensing rights for artwork from the most renowned museums–. Corbis archive was very popular, and was close to par with that of Getty Images, the most renowned stock imagery agency in the world. Corbis Motion was their stock footage division. This site hosted a large gallery of over 200K stock videos, most of them HD. They had both Editorial and Commercial usage clips. It was a valuable service for videomakers. At the beginning of 2016 Corbis announced they were exiting the stock imagery business, to focus in product placement and other ventures they had been developing in the later years. The way they did this was by selling most of their stock media business, including Corbis Motion, to an affiliate of Visual China Group, a very important Asian stock photo company. While Visual China kept most of the content in Corbis collections available for license, they don't offer them as a stand-alone website. Where is Corbis Footage Available Now? Closer than you'd think. Visual China is an Asian-market partner to Getty Images. Getty Images is the most renowned stock imagery agency in the world. If you've been around the visual creative space in the past two decades, you must have heard of them. They have global reach and own some of the most valuable archives and visual assets collections out there. You can learn more in our full Getty Images review. Following the acquisition of Corbis' collections, Visual China gave Getty Images the rights to manage and license Corbis stock media outside China. That's right: Getty Images got to add their once-competitor's galleries to their own library. Since the whole acquisition and rights cesion took place in January this year, Getty Images has been migrating the best and most sought-after content from Corbis stock photography and Corbis Motion into new or existing collections in their own. Corbis stock footage can be found here as Corbis Video. 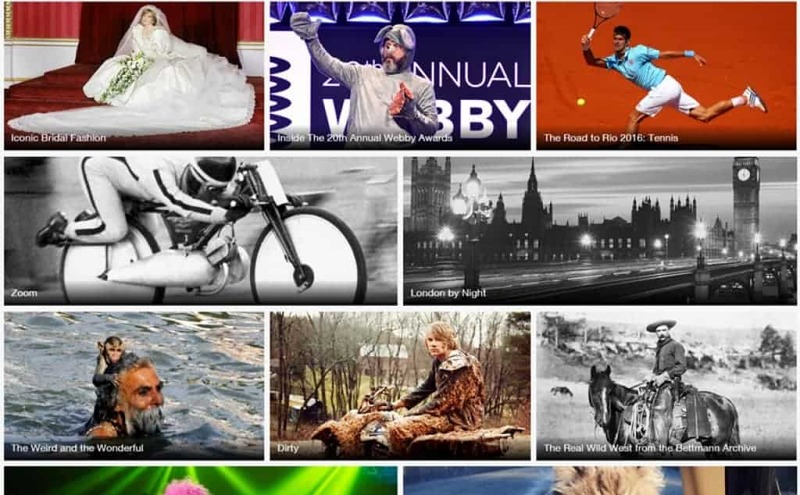 You can browse by collection and find it, or you can search for the kind of clip you want, and use the collection filter to see only Corbis Video results. Getty Images Ultrapacks are pre-paid media packs that let you get from 5 to 25 video downloads, paying upfront, and saves you up to 30% of the regular price. The discount can be as high as thousands of dollars! Buying an Ultrapack you can buy any of Corbis Videos that is available under Royalty Free license. Royalty Free is one of the best and most flexible licensing options, and Ultrapacks are an awesome way to buy stock videos at Getty Images cheaper and faster. Click here to buy Corbis Videos at Getty Images with Ultrapacks. Like this, via Visual China partnership, Corbis Motion assets are now available at one of the most prestigious stock media libraries in the world. Getty Images is reputable, reliable, and has a way to make stock video licensing fast, easy, and best of all, cheaper. Getty Images Ultrapacks give you a unique opportunity to buy Corbis Motion clips at low cost. Now you know where it is, how to find it, and how to buy it. Time to get hands on! Getty Images is one of world's most renowned stock imagery companies. With over two decades in business and one of the largest stock imagery collections in the industry, this is one of the most reliable choices to buy high quality stock footage. With millions of stock videos available under Royalty Free or Rights Managed license, the latter enabling to get exclusive usage rights. For all this they are a good choice for buyers looking for unique, high quality footage. But their price points are much higher than those of other agencies. Our special promo codes let you save up to 30% in your stock footage purchases with Ultrapacks.